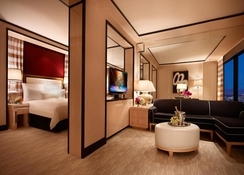 Encore at Wynn Las Vegas is a splendid 5-star hotel in Las Vegas, surpassing guest expectations. The rooms and suites in the hotel are elegantly designed offering luxury and a stylish retreat. Whether you are looking for nightly entertainment, casinos or world class amenities, you will find them all within the hotel’s premises. Every dining and drinking experience in the hotel will be a celebration with specially-created menu that will surely temp your taste buds. Try your luck at the hotel’s casino where you can avail exclusive privileges by becoming a red card member. The hotel also features a lovely swimming pool, a state of the art fitness centre, a salon and a beautiful spa. 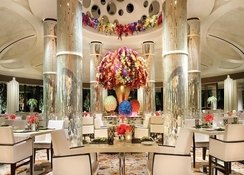 Encore at Wynn Las Vegas is located in the heart of Las Vegas. Splurge on shopping as the hotel is excitingly close to several boutiques including the Shoppes at The Palazzo (1.1km) and Grand Canal Shoppes (1.4km) and many more. McCarran International Airport is about 5.4km from the hotel, making it convenient for guests reach the hotel and board their flights on time. 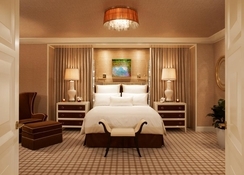 The accommodation at Encore at Wynn Las Vegas feature uniquely designed interiors that will surely leave you enthralled. 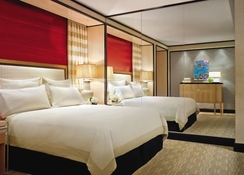 The guestrooms are categorised as Wynn Deluxe Resort, Wynn Deluxe Panoramic View, Wynn Deluxe Panoramic Corner View, Tower King Suite, Tower Double Suite, Executive Suite, Parlour Suite, Salon Suite, Fairway Villa, Encore Resort Suite, Panoramic View Suite, Tower King Suite, Tower Queen Suite, Parlour Suite, Salon Suite, Two Bedroom Apartment and Three Bedroom Duplex. All the guestrooms and suites come with the necessary amenities such as air conditioner, safe, smoke detector, fridge, hair dryer, wake up service, bath set, telephone, TV, Wi-Fi and much more. There are numerous restaurants within the hotel that will fulfil your dining needs. Fine dining restaurants at the hotel include Andrea, Cipriani, Costa Di Mare, Lakeside, Mizumi, Sinatra, Sw Steakhouse, Tableau and Wing Lei. For casual dining hit the Allegro, The Buffet, The Café, Charlie’s Bar + Grill, Goodies On Demand, Jardin, La Cave, Red 8, Terrace Pointe Café, Urth Caffé and Wazuzu. Every restaurant in the hotel takes care of vegetarian guests by offering a fantastic vegetarian menu. The bars and lounges in the hotel include Eastside Lounge, Encore Players Bar, Lobby Bar, Parasol Down, Parasol Up and Tower Suite Bar. 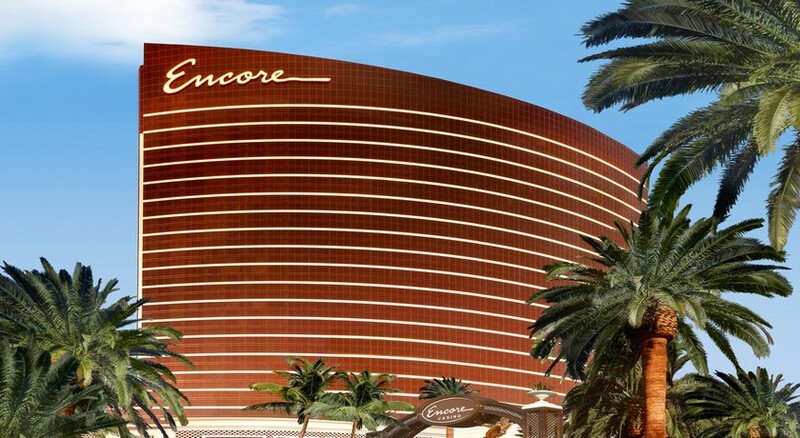 Encore at Wynn Las Vegas features a wellness centre, swimming pools and several entertainment hubs. The hotel accommodates a fully-fledged gym for those who want to maintain their fitness level. 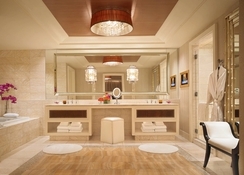 Guests will have a choice to get a peaceful retreat in The Spa at Wynn and The Spa at Encore. Soak up the sun, while taking a relaxing swim in the outdoor swimming pool. Evenings can be spent relaxing at any of the bars, which put on shows or live music to entertain guests.